Twenty-five years ago, seven year old Annabelle Granger came home from school to find five suitcases packed and her parents urging her to grab just two things to take with her as they fled from their home and the life that they knew. For years they shuffled around the country, leaving at a moments notice, keeping their heads down and changing identity with each location. Annabelle...though she didn't go by that name anymore...never new why. First, she lost her mother to the combination of booze and pills, the constant flight too much for her. Then, older and wiser, Annabelle and her father return to the city of Boston, the same city they'd fled from so many years ago. Her father died not long after, a victim of a hit and run. For a decade following that, Annabelle, known as Tanya now, has worked and lived in the city of her childhood. Then one day she read a newspaper and saw the news. Her body had been found. Annabelle Granger was dead, along with five other young girls found in a pit of darkness and horror far deeper and more malignant than the earthen tomb itself. Maybe now, after all these years, Annabelle can find out why. Why had she been forced all her life to hide? 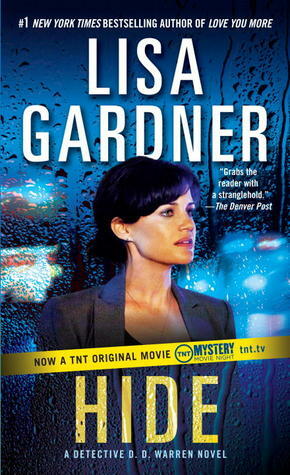 Lisa Gardner has penned an incredibly complex, twisted, and gripping suspense novel in Hide, pairing former sniper turned state detective Bobby Dodge together with ex-lover and now Boston PD Seargent D.D. Warren to solve a case with a myriad more questions than answers. A veritable rabbit warren of paths lead to clues and connections that only a true mastermind of suspense could ever dream up, and I was utterly compelled by the intensity and vitality of the story and characters. With impeccable pacing, the plot twists tighter and tighter as Annabelle goes to the police to both get answers and give them, and Bobby finds himself drawn to the reclusive woman with such stark strength in her eyes, but Annabelle's emergence from a lifetime of shadows sparks a sick and twisted mind to focus on her yet again. Apparently not even a lifetime can stop evil when it's intent enough. I loved this book. 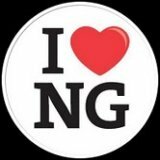 It was creepy and dark and the threat was carefully controlled and dished out by the author with a sparing intensity that was chilling. I, much like Annabelle, was totally committed to finding out why her father had been so out-of-his-mind paranoid, and the revelations were mind boggling as the truth slowly comes to light. Kudos to Gardner for her wicked, twisted psyche and her deft ability to translate that into imaginative works of macabre entertainment. My only - small - complaints were that I had to kind of sit on my suspension of disbelief and force it to behave when it came to how much access Annabelle was given to the case. I found that a little implausible, but once I beat that suspension of disbelief into submission, I just enjoyed the ride. I also thought the final conflict was a little too convenient and a bit too many of the wild warren paths led to the same den, so to speak. The only thing that I really wish had been different, though, was I wish that the romance between Bobby and Annabelle had been given a bit more room to breathe, because I enjoyed their attraction. It was extremely subtle in developing, and have to admit, Bobby acted very professionally overall, but I read this under the impression that it was a romantic suspense novel, and that's not exactly true. I consider this a suspense thriller with a thread of romance in it. A tiny thread. Overall though, this was an eminently enjoyable read that kept me wildly flipping pages well into the night until I had all the answers. Very well done. 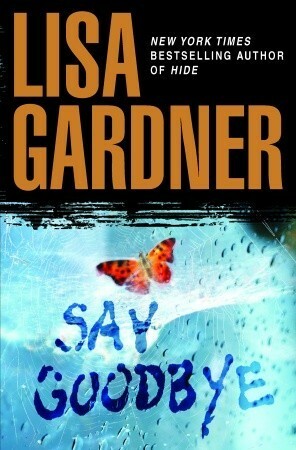 It's been quite some time since I've read a Lisa Gardner book, but after Hide I don't think I'll be staying away nearly so long ever again.